Work brigades dispatched to state construction sites in Samjiyon have been temporarily sent home and construction suspended due to safety concerns and plummeting temperatures in the region. 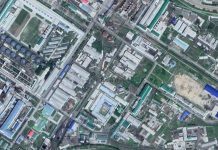 “The authorities withdrew all of the mobilized shock troops at the Samjiyon construction site just before the new year. 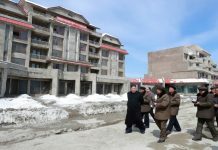 Military units and guards in the area were unaffected,” a source in Ryanggang Province told Daily NK. 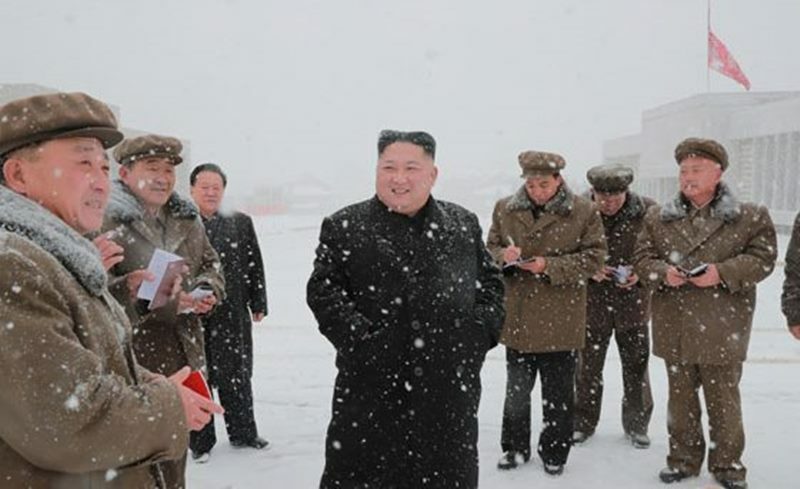 As previously reported by Daily NK, frigid conditions and poor labor conditions have seen storm troopers mobilized for construction involved in a spate of desertions and deaths. The workers traveled home by train via Hyesan Station, with the No. 2 Hyesan-Pyongyang route train passing through Kilju, Hamhung, and Kowon. The No. 4 Jagang-Manpo route was closed to civilians. The suspended construction orders came as welcome news for the workers, some of whom were able to spend the holidays with their families, and many were also pleasantly surprised that the transport was pre-arranged. 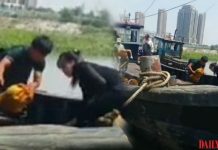 However, despite recent efforts by the authorities to address poor construction practices, “workers that have been sent abroad for construction work that were instead mobilized to these sites point out how far behind the quality of work at the Samjiyon site is compared to other countries,” another source in Ryanggang Province reported.